One of the most beautiful venues for a wedding near Pittsburgh. The grounds go on forever. 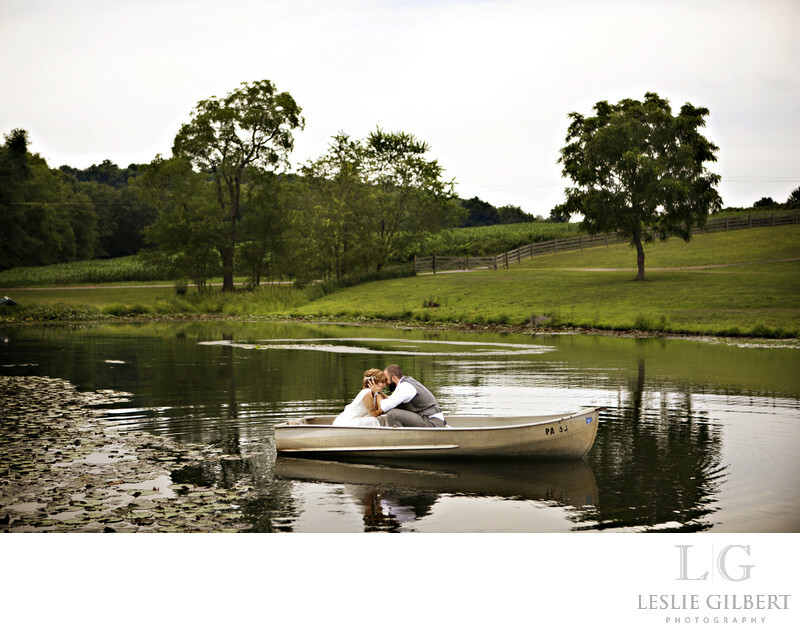 They love when the bride and groom have the idea to jump in the boat on the pond. Location: Lingrow Farms is amazing! 2330 Forks Church Rd, Leechburg, PA 15656. (724) 472-1305.